SOUTHWELL RACECOURSE - HOW DO YOU MASTER THIS TRICKY COURSE? Racing on the fibresand returns to Southwell this afternoon, with an eight-race card to get stuck into. 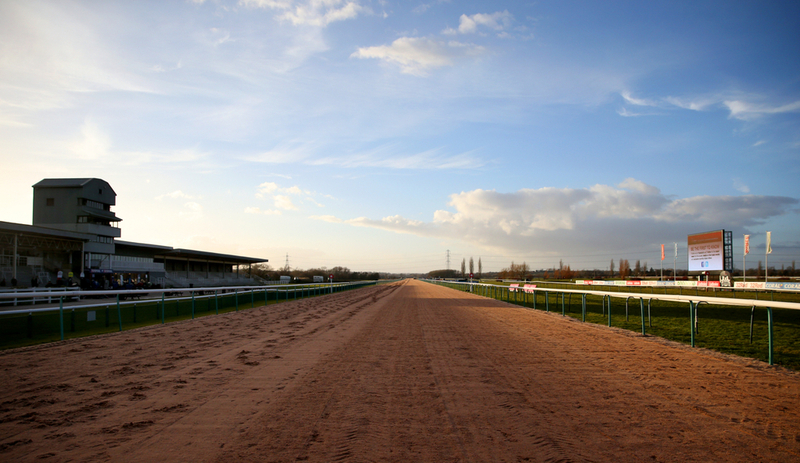 Southwell - north-east of Nottingham, is one of only six racecourse in the UK to have an all-weather track and is the only one with a fibresand surface, which is a mixture of sand and wispy fibres. The unique fibresand racing surface is quite deep, making the track a good test of stamina. Ability to stay the distance and fitness are therefore big advantages at Southwell. The track also often features many of the most hardworking jockeys throughout the winter, as well as plenty of high-profile stars from time to time. We have picked out three key points, to help master this tricky course. Like anywhere, the draw can really assist your chances of winning before the gates open. Over the 5 furlong straight course, very high draws tend to be at a disadvantage. This is because they are often forced to rail under the near side, where the ground is significantly slower. Horses drawn low, can bag the rail up the inside where the ground is a bit quicker as it is much more churned up, and the horse can use the rail as a guide to get home. As we have already mentioned, the ability to stay the distance and have the fitness required, are big advantages at Southwell. Some trainers - who know their horses peak at a 1m2f (ten furlongs), may drop the horse down in distance; let's say, to a mile. With the ability to stay, they can go much quicker, and can gradually wind and increase the tempo - usually from the front, forcing other rivals to get off the bridle earlier than expected. When you are out in front, the race is yours to lose. Southwell is the only fibresand track in the UK - that is majorly significant. Tapeta and Polytrack surfaces are much different to the heavier surface on the Fibresand. It is the equivalent to racing on turf on heavy ground, which produces kickback, which some horses have an intense dislike for, (in particular Roaring Lion in the Breeders Cup Classic). This feels like someone kicking sand in your face at the beach. For this reason, Southwell tends to favour horses who can race prominently or who are described as strong travellers, as well as horses that have raced on the fibresand before. They will avoid as much kickback as possible, and if they know the course, they can either keep wide, or lead from the front, out of trouble.